UNLV’s well-publicized courtship of University of Cincinnati basketball coach Mick Cronin came to a disappointing but not that all surprising end Friday morning when it was announced that Cronin had turned down the Runnin’ Rebels’ head coaching offer. Cincinnati President Santa J. Ono broke the news via Twitter that Cronin, who grew up on the west side of Cincinnati and shares custody with a nine-year-old daughter that also lives there, would start his second decade as head coach of the Bearcats. 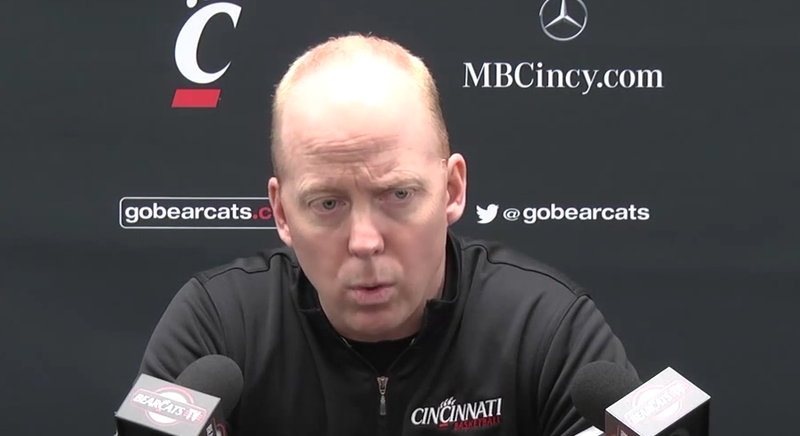 I am thrilled to say Mick Cronin will remain our coach at the University of Cincinnati. “We brought Mick Cronin to Las Vegas to meet about our men’s basketball head coaching vacancy. We appreciate his interest in the position, but he is no longer a candidate as we understand he will be staying at Cincinnati. We wish him all the best. “We have many outstanding candidates that are interested in this job, some we have already interviewed and others that we will be speaking with in the coming days. Kunzer-Murphy later told ESPN Radio 1100’s Mitch and Pritch Show that Cronin had verbally agreed to a deal before returning to Cincinnati on Thursday and learned of his decision to turn down the offer when she saw Ono’s tweet. UNLV has been in the market for a new head coach since firing Dave Rice on Jan. 10. Todd Simon, UNLV’s ace recruiter who compiled a 9-8 record as interim head coach after Rice’s dismissal, is no longer in the running after accepting the head coaching job at Southern Utah on Thursday.